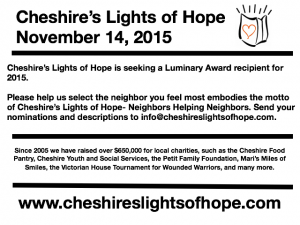 Cheshire's Lights of Hope is seeking a Luminary Award recipient for 2015. Please help us select the neighbor you feel most embodies the motto of Cheshire's Lights of Hope- Neighbors Helping Neighbors. 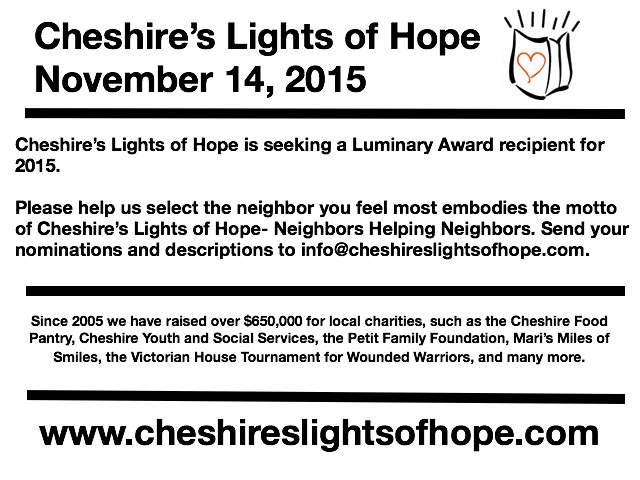 Send your nominations and descriptions to info@cheshireslightsofhope.com.